While vertical job search engine Indeed may have its hands full in North America, mostly compliments of Google for Jobs, life in parts outside the U.S. is pretty rosy, however. The company, owned by Japanese-based Recruit Holdings, is enjoying rapid growth in Europe, the Middle East, and Africa, commonly referred to as EMEA. According to a report in The Irish Times, Indeed reported a 66 percent revenue increase last year for its operations, which are run out of the Dublin headquarters. This comes after after a 48 percent rise in revenues a year earlier. The company also cut its losses from €80 million in 2016 to €71 million in 2017. Globally, things aren’t too bad either. Sales grew 59 percent to $1.96 billion (€1.68 billion) in a 12-month period, ending in March. And mo’ money means growth. As losses narrow, the Dublin headquarters, which now employs 900 folks, is getting prepared to surpass the 1,000 mark soon. Growth is such that the company is also building new office space in Dublin that will hold 2,000 people and total 219,000 square footage. 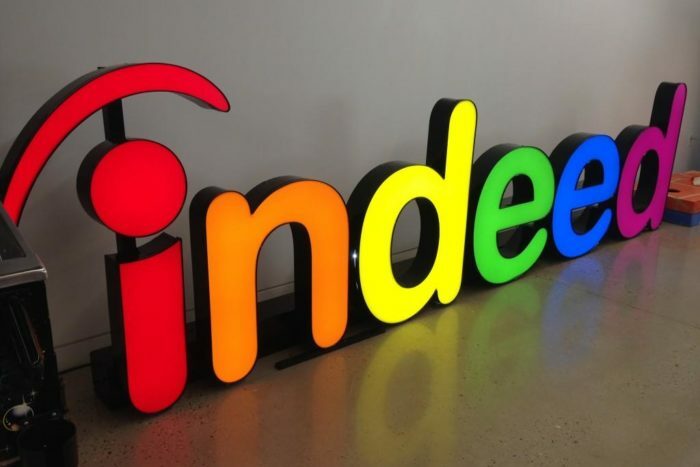 Indeed employs about 6,500 people around the world and expects that number to grow past 8,000 next year. Indeed’s spending on personnel in that same period went from €37 million to €59 million. The Irish Times predicted Indeed may be paying a yearly rent of €11 – €12 million to rent the new space, as well. The timing for all the growth in headcount sounds about right, because, well, Google is coming. In April 2018, Google announced its job search functionality was coming to Canada and India. Then, in July, the company unveiled its job search capabilities in the UK. That means the window for Indeed to grab global marketshare is getting tighter. The clock is ticking on its job search business, and the pressure to build a multi-faceted solution that offers tools for both employers and candidates is building.